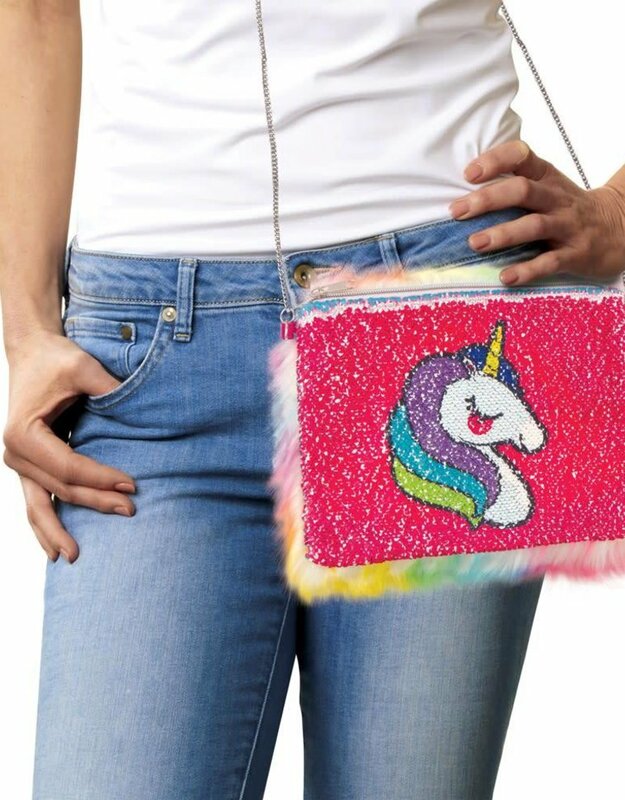 Faux fur and Magic Sequins are two of our favorite things and they come together perfectly in the Faux Fur & Magic Sequin Unicorn Crossbody Bag. 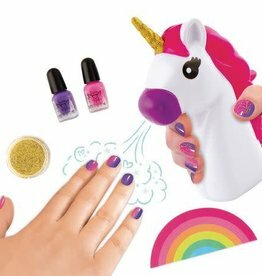 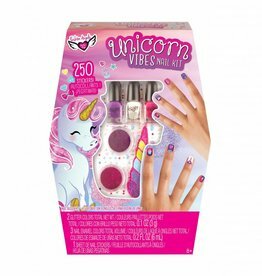 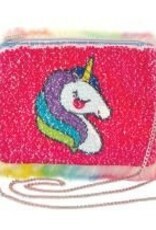 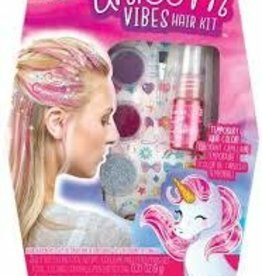 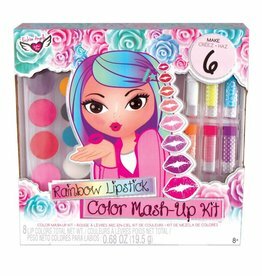 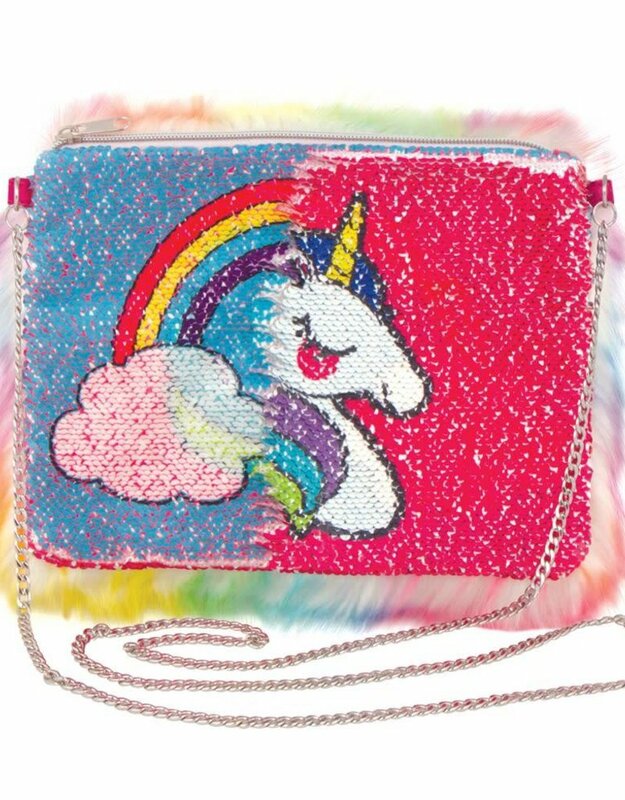 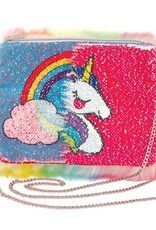 We are crushing on this super on trend bag - the Magic Sequins are a fabulous unicorn that reveals to a rainbow with a swipe of your hand. 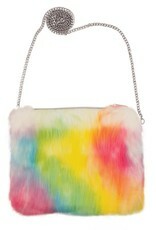 The soft multi-color rainbow faux fur on the back side, and crossbody length chain strap make this your new go-to bag. 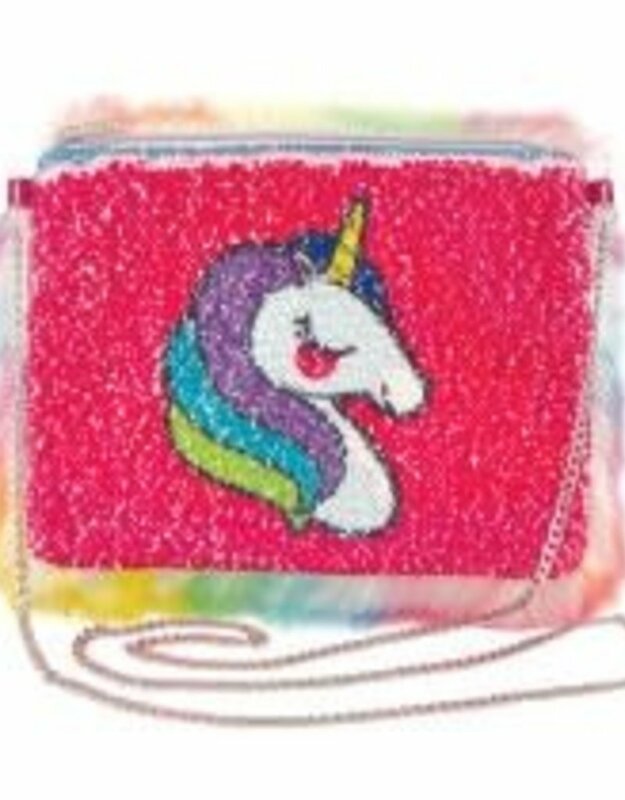 The bag is fully lined and has a zipper closure. 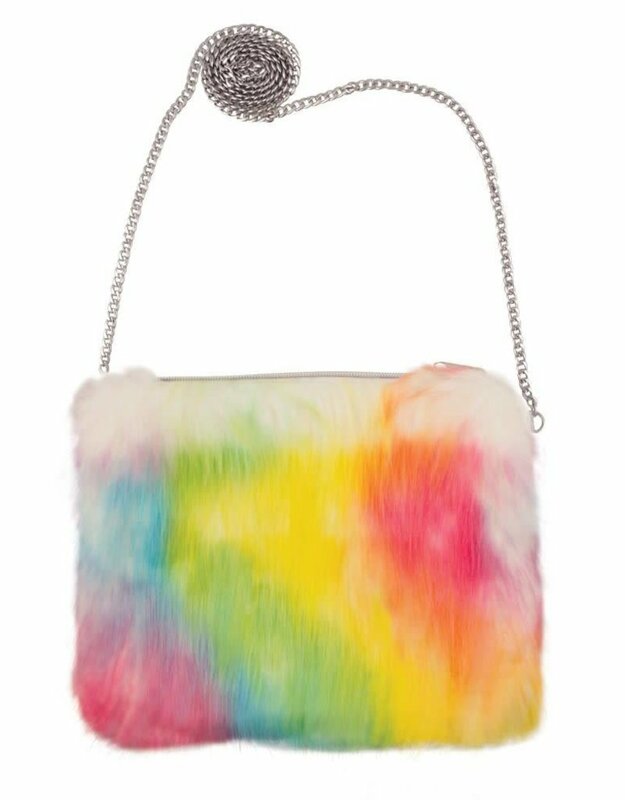 The chain strap has a clasp on one side so you can adjust the length, wear it as a hip bag, or even tuck it inside and use it as a clutch! 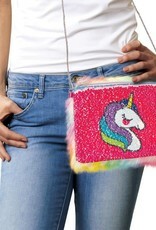 This bag is everything!